Combination lock add $1.00 per unit.. Delivery Charged at cost. Please contact us for quote. Combination lock available at $1.00 per unit. PMS colour match available (MOQ 1000). 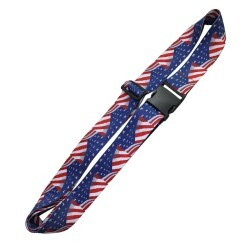 Promotional luggage straps are a great way to promote your products across the country and across the world. 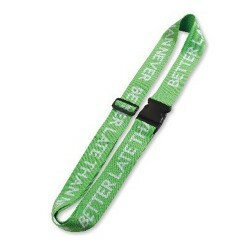 For those who travel regularly, a luggage strap is a handy item to travel with to help identify and protect luggage once it leaves the user’s hands. Our Polyester Luggage strap includes an adjustable buckle, with the option to add in a combination lock for extra security. These straps come in a range of colours including black, green, grey, orange, purple, red and yellow; they have a large print space of 1800mm x 50mm giving you plenty of branding and promotional space. 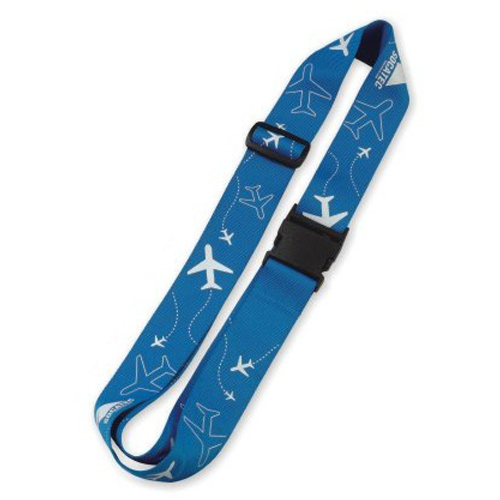 Promotional luggage straps are a great giveaway item to your customers, especially if you work in the travel or hospitality industry; if you create products for the travel industry, the polyester luggage strap can be a great promotional merchandise item available for your customers to purchase. Perhaps you have staff members who travel a lot for business? A luggage strap is a great way for your staff members to promote your business while travelling without needing to do too much. For a great little promotional item that can do your marketing work for you while your customers are travelling, our branded Polyester Luggage Strap is a great idea.